This is the first of two posts with summary notes to help you prepare for the unit assessment next week. Don’t forget that there are also nice notes with built-in tests on BBC Bitesize. Use the attached file to help with revision for your test on Monday. Start at the beginning of the booklet and read up to the end of page 41. We’ve been looking at work and the rate of change of energy. This handout will help you to revise the key points and introduces gravitational potential energy. Your homework questions are attached. Please return to me by Wednesday 20th September. Here are some notes to help you prepare for the assessment later this week. There are also some useful resources on BBC Bitesize. where l is the pendulum length and g is the gravitational field strength. 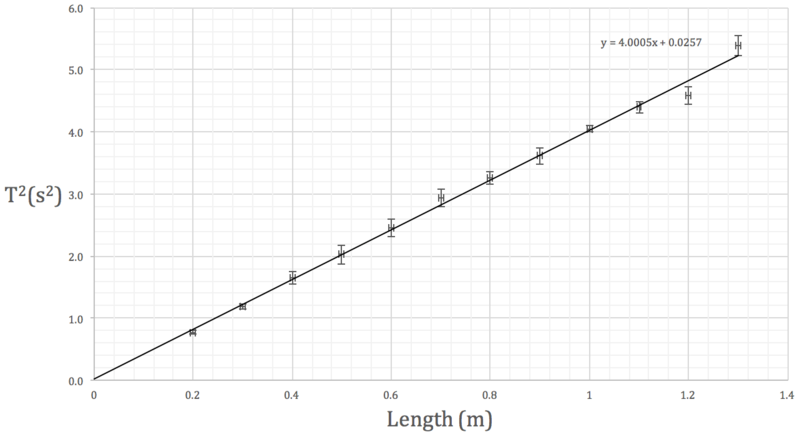 Using a single value of length and period, we can determine the acceleration due to gravity. However, it would be better experimental practise to vary the length of the pendulum and plot a graph of against length, determining g from the gradient of the line of best fit. We’re going to spend the next three periods analysing your simple pendulum data in the library. The attached pdf will walk you through the steps. It would be better if you used your own results but I’ve put some sample data on the first page if you’ve forgotten to bring yours. Here are whole unit summary notes to help you prepare for the unit test next week. Thanks to Mr Noble for sharing his notes. Here are some notes to help with your revision for the electricity & energy test. There are also practice exam questions and answers if you want them. Your assignment will be based on an optoelectronics topic. You will get some ideas for practical work by downloading this booklet. I have attached a copy of the Scholar notes for unit 3 of the CfE Higher course. You will find background physics with appropriate energy band explanations on pages 103-142. Don’t print this document, it’s huge! The Q&W unit assessment is next week. Here are the Scholar notes to help with your revision.